In The New Influencers, Paul Gillin writes about the transformation in media that is handing influence to people who have never before had the tools or platform to express themselves. Graham Duncan (GD): You describe yourself modestly as a long-time technology journalist who's worked almost exclusively online since 1999. Your work at TechTarget, ComputerWorld and BtoB has put you in a position where you are now recognized as an expert in social media. Is this the career that you envisioned? What led to your interest in social media, and to make it the primary media for your journalism and, indeed, for your career? Paul Gillin: I have always been fascinated by publishing and influence. Publishers have traditionally enjoyed a disproportionate level of influence because they had access to the tools needed to publish. As I saw publishing moving out of the realm of the elite few and into the hands of the masses, I could see that this was going to cause a sea change in the way influence was exercised in markets and communities. Two other topics that have always interested me are technology and change. I'm fascinated by the idea that small changes in technology can create huge changes in other institutions as a ripple effect. With social media, I saw that scenario playing out. The sudden availability of cheap and free personal publishing tools to millions of people would create huge ripple effects. We are beginning to see that happen. I was just lucky to get in a little early. GD: You are passionate about journalism, and have written extensively about it online. What other things are you passionate about? Paul Gillin: As I mentioned, publishing and information technologies are two other areas that excite me. I think we're only beginning to comprehend the changes in our lives that will be driven by the availability of high quality information at our fingertips. Outside of work, my family and the Boston Red Sox are my two greatest passions, in that order! GD: You indicate that The New Influencers is a book about influence. It is not about blogs, podcasts or viral videos. You have said that what has captivated you about social media is the extent to which new centers of influence have emerged in online communities that have no rules, governing structures, standards, nor hierarchy. In all this chaos there must be tremendous marketing opportunities. Are these opportunities difficult to recognize? Paul Gillin: They appear to be very difficult. For the past 100 years, we have perfected the art and science of delivering messages through mass channels. Most marketers are very comfortable with that, and the emergence of narrow channels and bottoms-up influence presents a huge perceptual challenge to them. It is completely the opposite of what they have known, and this has created a great deal of anxiety. In fact, understanding the dynamics of this new influence isn't all that difficult. It's just that most of us are so invested in the old that we resist thinking about the new. One thing that twenty-five years in technology has taught me is that you have to discard assumptions in order to see potential. However, it's not human nature to discard assumptions. We like to see new things in the context of what we already understand and this makes new media, which turns a paradigm completely on its head, very difficult for most people to internalize. GD: Common sense would suggest that a medium with so little structure should degenerate into chaos. Yet, remarkably, you indicate that exactly the opposite is happening. Would you elaborate? Paul Gillin: The early days of blogging were kind of a Wild West scenario, with lots of people yelling at each other and no real rules. There still aren't any rules, but there are standards and accepted practices that are proliferating throughout the community of serious bloggers. The essential elements of these principles – transparency, attribution, honesty and dedication to diversity – are guidelines that our institutions would do well to adopt. I think this says a lot about essential human nature, and people's interest in preserving the freedom they now have. There is a shared feeling that we're all in this together, we all love the changes that are happening, and we don't want to do anything to put them at risk. GD: You say that marketers need to understand that social media is maturing, the quality of the contributors continues to rise, and the Internet, which was the Wild West in the early years, now commands the respect of the mainstream media. This would suggest that the traditional tools that marketers have been using are less likely to be effective. Is this the case? Paul Gillin: There's no question that the traditional tools are less effective. You can see it in declining response rates to advertising, direct marketing, and attention to traditional media. As people increasingly get value from their peers instead of media institutions, this trend will only accelerate. I'm not saying that traditional tactics aren't valuable or important. It's just that people have more tools than ever to screen them out. Marketers must begin to complement their strategies with tactics that get them into conversations rather than simply delivering messages. GD: In The New Influencers you indicate that in 2004 Wired Magazine's editor, Chris Anderson, crystallized the power of the Internet by demonstrating its ability to serve small groups of people organized around very specific topics or interests. Is this still the key power of the Internet? Paul Gillin: It is the power of the Internet. The Internet democratizes information, which makes it possible for people to form communities around very specific topics of interest. Five years ago, that wasn't possible because the technology was too expensive and too poorly understood. Today, it's cheap and easy for any one person to create a community. That community may number no more than a few dozen other people, but the cost and ease of use inhibitors have fallen enough to make that community practical, even if there is very little money in it. This is an essential dynamic for marketers to understand. The past has always been about searching for the big hit – the one advertising program or slogan that would attract large numbers of people. Today, the secret is to spread your message across many smaller communities, customizing it in each case in order to gain their loyalty. It's about winning many small battles instead of one big one. GD: You suggest that new social media offers marketers a chance to break the slide in their revenues, and a new opportunity to engage with their customers in a whole new way. The new discipline is coming to be known as "conversational marketing". What is conversational marketing? Paul Gillin: This is a new approach to marketing that emphasizes relationships with customers and constituents that are based on two-way communication, mutual growth and learning. As I mentioned, customers are erecting many barriers to unwanted messages. These barriers will only become more sophisticated and impenetrable with time. Marketers must change the way they operate in order to get around these barriers and engage with customers on their own terms. GD: Why is it more important to exchange information with your customers than it is to deliver a message to them? Paul Gillin: Conversations are the foundation of quality relationships. Over time, they engender feelings of mutual trust and support. Think of your own relationships with merchants in your community. Chances are there are a few who always get your business, regardless of their pricing, promotions or discounts. You trust these people to do a good job for you and you don't bother to look for alternatives. The same thing applies in all business relationships. Buyers want to do business with sellers they trust. Sellers who are engaged in ongoing, mutually beneficial conversations with their customers will engender more loyalty than those that simply shout marketing messages at them. This is human nature and it's common sense. GD: You indicate that the shift to small markets served and influenced by a new breed of opinion leaders is a sea change for marketers. In the past the whole focus of marketing had been on optimizing mass markets using skills that were largely analytical and mathematical. Like many industries, marketing is in transformation. When did you begin to realize that traditional marketing strategies were not aligned with the increasing influence of social media? Paul Gillin: Nearly a decade ago I left an executive position at a major technology publication to join a startup that was addressing the same market with a very different approach. The startup company had divided the market into dozens of small communities defined by common interests. Over a six-year period, we built the company to more than 400 employees and nearly $100 million in revenues. I could see that this form of marketing was much more effective than the "spray and pray" style that preceded it. Much of this occurred before social media was even a factor. I realized that as communities became more focused thanks to the availability of low-cost publishing tools, this trend would only accelerate. GD: Second Life, Twitter, Facebook, MySpace, and Pounce are just a few of the social networking tools that are in wide use by younger generations. Most companies have yet to fully understand and use these tool sets in their marketing strategies. Do you have any advice for companies who are considering using social media tools, to reach and influence the behaviors of their intended audience? Paul Gillin: My most important advice is to not start with the tool. This is a common mistake. Tools are simply a means to achieve an end. Always start with the business objectives and then choose the tools that best match the strategy. In many cases, social media will be inappropriate to the objective. Also, consider the communication tactics being used by your target audience. Blogs, for example, are more popular with business to business customers than are social networks. Video and photo sites tend to be more popular with younger audiences. These aren't hard and fast rules, but they are guidelines you can use to determine your strategy. My most recent book, Secrets of Social Media Marketing, has a whole chapter on how to choose tools. GD: In 2003, you wrote that blogging's wave has already crested and that not many people read these sites. As you have indicated, you were wrong about blogging – predicting winners and losers in the fast paced-world of social media is difficult. Your strategies focus less on winners and losers and more on trends. What trends can we expect for the use social networking tools for marketing in the next five years? Paul Gillin: Over the next two years, I expect that the trend will be mostly consolidation. We've had a lot of new technology poured into the market since about 2004, and people need some time to assimilate it all. In the area where I think we'll see the greatest amount of new innovation is in mobile technology. The combination of location awareness with high-speed networks and customization will give birth to some interesting new applications. I think we've only seen the tip of the iceberg there. GD: In your blog "Newspaper Deathwatch" you have written about the ongoing transformation of the newspaper industry. Your blog has begun to acquire a following, and in the process it has demonstrated to you why online press mentions are now more powerful than those in print. In what way are online mentions more powerful? Paul Gillin: People increasingly go to the Web to make important decisions, whether it's the decision to investigate a product further, make a purchase, or learn about a market. Few people write letters or pick up the phone anymore. They click, learn, and then take action. As business interaction increasingly moves online, the ability to attract people to a website becomes a core business discipline. Also, fewer people are reading publications. That's a documented fact. When you combine these trends, you can see that the link increasingly is the engine of commerce. People find out about something that interests them through any number of online channels, click through to that destination and make a decision. They are much less likely to read about something in a print publication or see it on television, and then go look it up online. This trend will accelerate quickly as the next generation of consumers moves into the mainstream. Teenagers spend six times as much time online as their parents, on average. You can see why the link will become so critical to attracting their business. GD: The Obama presidential election campaign demonstrated the power of social media in the campaign. Which of the social media tools contributed most to the Obama online campaign? Are there lessons here for businesses? Paul Gillin: The lesson for business is not which tool contributed the most value but the sheer number of tools that the campaign used. For example, the Obama campaign was a member of at least 12 social networks targeting different demographic groups. It was also active on Twitter, YouTube, and e-mail. The point to remember is that the campaign did not rely on the media to disseminate its message. It went around the media and spread the message itself. The candidate and his advisers were communicating almost constantly via various online channels. Facebook was by far the largest medium the campaign used, but the secret was that they used many other means to reach people in addition to that. They went to where the voters were, rather than asking the voters come to them. I believe that at its core, that is why the campaign was so successful. That is a lesson for business. You can no longer expect your customers to come to you. You must go to them wherever they are gathered. Also, big victories are very hard to come by. Success comes from many smaller victories rolled together. This is a natural consequence of the trend toward the atomization of media that we described earlier. GD: You describe how Paul Greenberg's article in the March 2006 article in CIO magazine details a recent study of Gen X and Gen Y consumers in which 63 per cent of this group researchs products before purchasing them. Even more compelling is these new customers are creating extensive communities to exchange information. Until a few years ago, technology limitations prevented such networks from forming. Are these new consumers cloistering themselves away from marketers? Have marketers lost the ability to reach out to these new consumers? Paul Gillin: Marketers haven't lost the ability to reach out to new consumers, but they have lost the ability to shout at them. Consumers now have many sources for information. Increasingly, these sources involve networks of friends who can't be influenced easily by marketers. So marketers need to become part of the conversation and/or influence those people who influence others. Marketing must become more democratized. GD: A significant demographic shift is occurring for marketers. As traditional mass media continues to be replaced by networks of individuals and small-group influencers, where should companies spend their advertising dollars? In this economic recession what would be the compelling argument for companies to risk their hard earned revenues on marketing strategies that are dependent on social media tool sets? Paul Gillin: I wouldn't presume to tell people how to spend their advertising dollars, particularly since that decision is so situational. I have tried to describe changes in influence patterns that I believe should cause marketers to revisit their spending decisions, but that doesn't mean they should make big changes. Regarding the second question, social media is one of the most cost-effective marketing vehicles ever invented. The cost of the tools and the channels are effectively zero. The major cost is time and innovation. I think you have to look at it as an economic trade-off. For example, companies today spend $100,000 to drop 100,000 pieces of direct mail, with the hopes that 2,000 people will respond, and 400 will become customers. The economics of the business are well known. So if you're planning to spend $1 million on direct mail this year, is it worth taking 10% of that budget and putting it into a social media campaign? Can you recruit more than 400 customers for that money? I don't know, but $250 per customer seems like a lot to spend, so it's worth looking at alternatives. It's probably worth at least a test campaign to see if you can cut that number. We've seen enough examples of companies using social media to generate new customers for as little as a few dollars per head that it's probably worth a try. GD: Bloggers are increasingly influential. They know a lot about particular products or services. They can impact the directions of a company through the readers who follow their bloggings. You describe these bloggers as enthusiasts; many have achieved influential positions in their markets without setting out to do so. Are these enthusiasts the new marketers of the 21st century? Paul Gillin: I don't think they should be looked at as marketers, but rather channels of influence. I would compare them more to the media than to marketers. GD: Philipp Lenssen established the blog, Google Blogoscoped, in 2003. This blog has grown significantly since then, and is recognized as the complete unauthorized Google reference with four million page views a month. This influential blog has attracted more and more voices that have contributed content to the site. Google is now paying attention and other marketers are taking notice. What is the lesson here for other businesses wishing to get in on "the action"? Paul Gillin: The lesson is to listen. New influencers do not promote their brands through conventional marketing means, and they are not listed in the marketing magazines. You have to find them through search engines, directories, blogger links and other means. Start by searching Google, then look through sites like Delicious, Technorati, Digg and Facebook. Look at who's talking about you, and who they're connected to. Nobody's going to do this work for you, so you have to be resourceful. You also have to acknowledge that these people are important to you. If you don't believe they are important, then you're wasting your time learning about them. You're probably also missing out on a huge opportunity. GD: Blogging enthusiasts have chosen their topics because they are passionate about the subject. They want to share what they know and create relationships with others who share their enthusiasm. From a marketing perspective you indicate that these enthusiasts have great market knowledge, they want to be involved, they are meticulous about transparency, and they embrace discussion. If you were establishing a marketing strategy for a new company, what are some of the novel ways you would consider using to attract and engage these enthusiasts? Paul Gillin: I almost believe that the only way to start a new company these days is through an enthusiast program. The mainstream media is too expensive and too ineffective. If you have a groundbreaking and disruptive product, reach out to people who have already demonstrated their enthusiasm and give them free trials. Communicate actively and vigorously with them, gather their insight, bring them into the development process if you can, and tell them how much their work is appreciated. Let them spread the word, because communications today comes from the bottom up rather than the top down. If people are really excited about you, deputize them as brand ambassadors. Give them badges to post on their blogs, invite them to special webcasts and even live events, hold conference calls with your CEO and chief engineer, and basically treat them like royalty. They will do a lot for you if you show them you care. GD: Would you suggest that the mainstream media is increasingly influenced by what is occurring in social media? Or is it even possible or them to replace lost revenues in what appears to be the rush to "free" media? Paul Gillin: Those are two different questions, and I think the first one is more interesting. As I mentioned in my answer to your last question, today information increasingly travels from the bottom up. The mainstream media is crumbling, and newspapers, magazines, and broadcast outlets do not have the staff resources that they once did. Increasingly, their intelligence comes from citizens who tip them off through blogs, Twitter, video uploads, and e-mail. This is a critical distinction for marketers to understand. Journalists do not have the time to spend with marketers and PR people that they did a few years ago. They are all stretched very thin, so they Google for expertise. If you are influencing the people whom journalists trust, then you will get better results than if you go to the journalists themselves. Why? Because these experts are trusted, and you are not. Convince some respected blogger who writes books about computer security that you have the greatest security solution, and, believe me, the New York Times will hear about it. That's because the New York Times reporter knows that the blogger is more of an expert on computer security than she is. Journalists today have more sources of information than they have ever had in history. You can't control who they're going to call, so you have to influence the people they will find when they go hunting for expertise. GD: You indicate that small and large corporations have different motivations for using social media. Why is big business so slow to catch on to social media? Paul Gillin: There are lots of reasons, including bureaucracy, conservatism, shareholder pressure, regulatory requirements, legal concerns, internal politics, and brand equity. I'm not saying these aren't legitimate concerns, but they prevent large companies from moving as quickly as small ones. Also, small companies get very excited about the cost leverage of social media and so are quicker to try it out. GD: You indicate there are several free services that can alert a company to the latest events going on in the blogosphere. For example, you describe Google Alerts as a powerful way to monitor what the media is saying about any topic. You advise that companies should have alerts set up for all the organizations and brands that are important to them. Did you use any of these free services in your research in writing this book? Paul Gillin: I subscribe to several Google alerts for my name, my books and topics that interest me. I'll to use a service called Filtrbox that is somewhat more comprehensive than Google. In addition, I use RSS extensively. For example, I use an RSS feed from search.Twitter.com that delivers information any time someone mentions my name on Twitter. I subscribe to an RSS feed from Technorati for the same purpose. I also subscribe to a number of sources and topics that I find useful, using filtering mechanisms that those services provide. For example, I have an RSS feed for all the case studies posted on the Word of Mouth Marketing Association's website. GD: What aspects of the social media still surprises you? Paul Gillin: Probably the fact that simple ideas can still have such an impact. When I first saw Twitter, I thought it was crazy. Nearly two years later, it's an essential part of my life. Similarly, the concept of "friends" that is embodied in Facebook didn't seem all that revolutionary when I first saw it, but I realize now it changes the nature of online relationships. The power of seemingly minor technology changes to affect major change never ceases to amaze me. GD: Are there any other authors' books you would recommend on the topic of innovation? Paul Gillin: I have several favorites on social media including Groundswell, Everything is Miscellaneous, The New Rules of Marketing & PR, and Do It Wrong Quickly. However, there are so many I haven't read yet. GD: Your latest book is Secrets of Social Media Marketing. Would you please tell us about it? Paul Gillin: It's a practical guide for marketers and business owners to use in deciding how to employ the new social media for online marketing. The focus is on hands-on advice on strategy, tools, and tactics. The New Influencers is about the transformation of media that is handing influence to people who come from all walks of life. Many are journalists, some are technologists, but others are single mothers, educators, graphic designers, and even dairy farmers. They share a passion for community journalism, thoughtful discourse, and commitment to change. The New Influencers provides important information for executives and marketers so that they can engage with this new group of people and influence them. 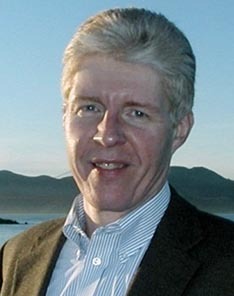 Paul Gillin Bio: Paul Gillin is a long-time technology journalist who's worked almost exclusively online since 1999. Before focusing full-time on social media Paul was the founding editor-in-chief of TechTarget, one of the most successful new media entities to emerge on the Internet. Gillin is a Research Fellow and a member of the advisory board of the Society for New Communications Research, and a co-chair the social media cluster for the Massachusetts Technology Leadership Council.